The hake has a firm texture and white, delicious and delicate meat, with a low fat content. 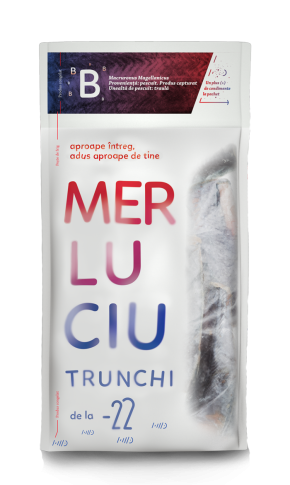 Oceanic and freshly frozen at -40 degrees in only 4 hours after beeing fished, the hake trunk from Minus22 retains all its nutrients, its taste and own texture, for extra freshness. Frozen immediately after evisceration, the hake is transported in controlled cold conditions, with special trucks and boats until the final destination, when reaching its favorite temperature, -22 degrees. The hake trunk is perfect if baked in the oven with vegetables or potatoes.